The Kidliterati Ten is an interview series with young readers. We ask them about a favorite book and hope that you enjoy their answers. Stay tuned below for a special GIVEAWAY! Tell us a little about yourself: what is your first name, how old are you, and what is your favorite flavor of ice cream? My name is Alec. I'm 9 years old, and I like mint chocolate chip ice cream. What book did you read and why did you choose it? I read Minecraft: The Crash and I chose to read it because it's about one of my favorite video games. Can you describe this book in one word? Exciting! What was your favorite part of this story? My favorite part is how they brought in VR goggles because I like the idea of going into a virtual reality Minecraft world. If you had a problem similar to the main character's problem, what would you do? Bianca is getting treated in the hospital, so there's nothing you can choose there. If I got stuck in the Minecraft VR game like Bianca does, I would do what I want for a while and press "end game" to try to get out. What would you say to your best friend to convince them to read this book? I would ask them, "Do you like Minecraft?" If they say yes, I would say, "I have a book for you" and tell them the title. What do you think about the book's cover? The cover is really cool. I like the giant enderman floating in the sky. Would you want to read another book about these characters? Why or why not? Yes because I think it would be fun to learn more about the characters and what they do. Can you name another book that reminds you of this one? I've never read a book about a video game before! If you could ask the author one question about this book what would it be? Can you make another Minecraft book like this one? I don't think so. Every time I write a book I learn new things and I try new things, too. So none of my books have been just like any of the books that have come before, even with the Jumbies series, each book has been quite different. But, could I make another Minecraft book? I probably could. We'll see. Thank you for the interview, Alec! More about MINECRAFT: THE CRASH! The brand-new official Minecraft novel is an action-packed thriller! When a new virtual-reality version of the game brings her desires—and doubts—to life, one player must face her fears. 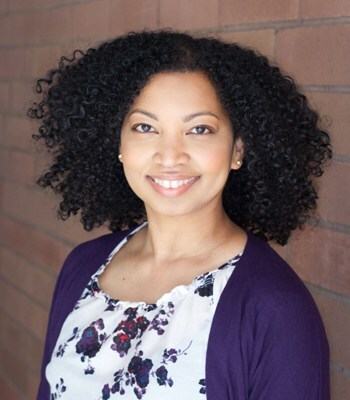 Tracey Baptiste is the author of the creepy MG fantasy adventures The Jumbies and Rise of the Jumbies, the contemporary YA novel Angel’s Grace and 9 non-fiction books for kids in elementary through high school. 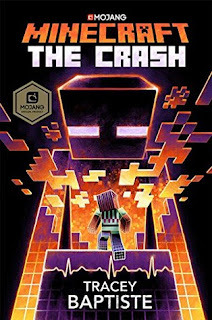 Her official Minecraft novel, The Crash, is her latest release. Tracey is a former elementary school teacher, she does lots of author visits, and she's on the faculty at Lesley University’s Creative Writing MFA program. I like minecraft because it gets my daughters and their friends together for lots of laughter and fun. Thanks so much for sharing this Melanie!